HRH The Countess of Wessex will spend two days at the 122nd Devon County Show next month, it was announced yesterday (Thursday). The Countess is President of the Devon County Agricultural Association, which stages the Devon County Show. Show Secretary, Ollie Allen, speaking at the launch of the Show held at Southernhay House, Exeter, said Her Royal Highness was looking forward to being part of ‘this incredible celebration of what makes Devon such a wonderful place to live and work’. “I am sure Her Royal Highness will enjoy going around the showground and will appreciate the the wealth of passion and talent working in farming, food production, horticulture, craft and country life,” she added. Currently the showground is a hive of activity as teams erect metres of canvas to create a virtual town; while off-site exhibitors, businesses, entertainers and visitors anticipate the three busiest days in the county’s calendar. By the end of the week the largest structure will be up; the Crafts and Gardens Pavilion is a huge 500 feet by 80 feet traditional marquee and will house a giant, poignant‘people’s memorial to the men and women of the county who died in the First World War. Some 29,000 hand-made poppies donated by local people will form part of a huge display called ‘Devon Remembers’. The Show is also an opportunity for farmers to come together to meet the most influential people involved in agriculture today including the President of the NFU Meurig Raymond. “One other thing about the Show which is more valuable than ever is the opportunity it provides for a scattered rural community to come together, renew old friendships, make new ones, compare notes and - this year especially - discuss what the future may hold. added Ollie. The food and drink which originates on Devon’s farms has gained international renown and is championed by the vibrant local tourism and hospitality sector. 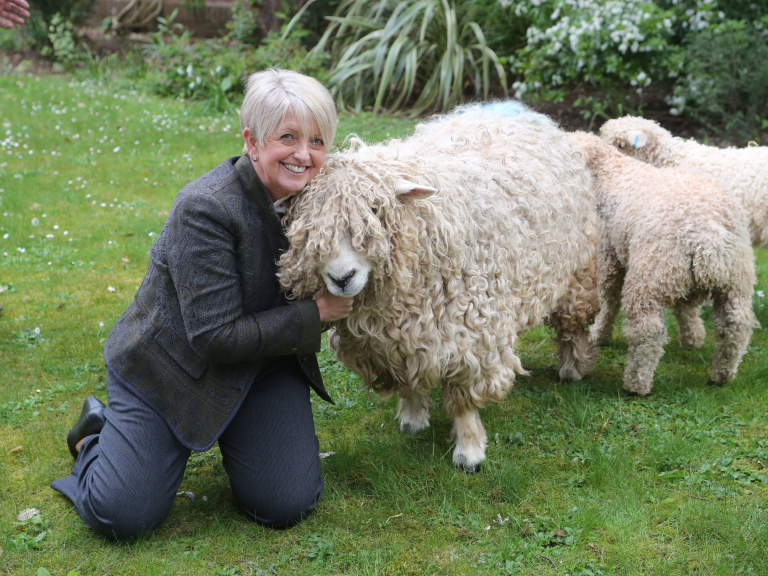 Deborah Clark, owner of Southernhay House in Exeter and Burgh Island, said: “At Southernhay House we eagerly anticipate the Devon County Show each year and are proud and pleased to support our heavenly county. If champagne were made in Devon, my life would be complete; nevertheless, each year I am surprised and refreshed by the utter variety and quality of produce from "the UK's kitchen". The headline attractions in the Mole Valley Farmers’ Arena are the monster trucks ‘Big Pete and the Grim Reaper’ (Friday and Saturday), a display of a hundred years’ of farm machinery and, of course, the Grand Parade of Livestock (Friday and Saturday). This is the fourth year of the Devon Farm Business Awards run by the Addington Fund, Devon County Agricultural Association and Stephens Scown Solicitors. Awards will be presented at a gala dinner on the Showground on the eve of the Show. There are more farming-related trade stands than last year, taking more space, including Mole Avon Trading, who are back supporting the Show this year after a few years absence. The cream of the region’s breeding livestock will be on display. A shopaholics’ paradise - over 2 miles in total of avenues full of everything from a beef rib to a river rib! Test your tractor driving skills at the Tractor Drive or have a go on the 4x4 wheel drive course. Pic cap: Devon County Show Secretary Ollie Allen gets up close to a Devon & Cornwall Longwool ewe (Daphne) and her six week old lambs (Shaun and Sophie) at the Show press launch at Southernhay House, Exeter.